In Deurbal, Chattisgarh, we have initiated the donation of the infant care kit for newborns in the village. We distributed seven kits to the mothers of four girl children and three boy children, in which, two boys are twins. 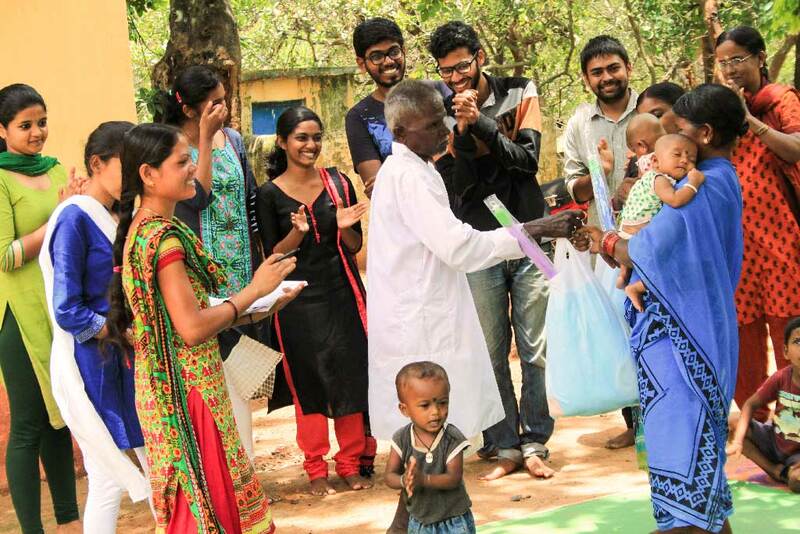 Students from Amrita University distributed the kits during a village school function. The university students were there on a two-week village internship during their summer vacation. The kits where handed over by Mahadev, a village elder. After distribution, Ankur Agarwal with Amrita SeRVe demonstrated about the content of the kit and how to use the items therein. 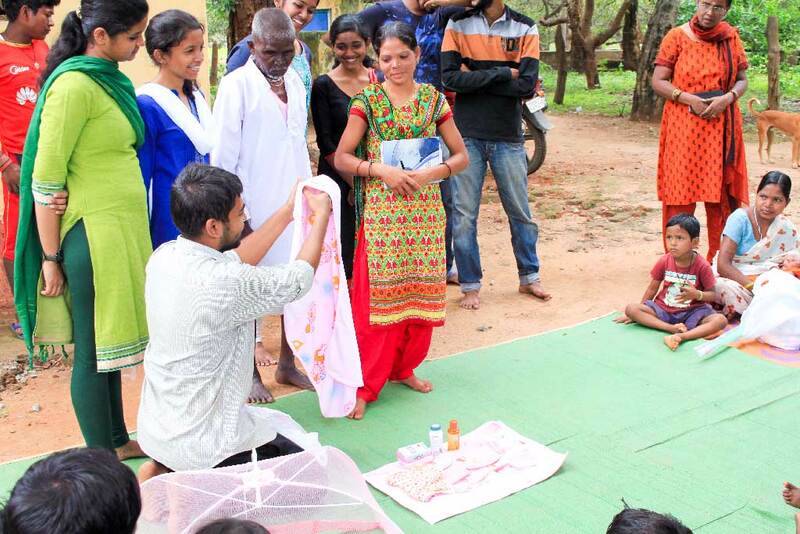 The infant care kit contains 12 items: a soft bed with head rest, a mosquito net, one set of clothes, three reusable cloth napkins (langoti), a wrap towel with a cap, baby soap, baby powder, a soap box, a nail cutter, massage oil, a rattle toy, and Chyavanaprasam for the mother.